Söne Buss AB has been awarded the contract to operate the campus bus from August 2019. Two buses per hour will run in both directions during peak periods. This is the result of a recently completed procurement process. The campus bus became controversial when the Swedish National Audit Office criticised LiU for entering into a contract with Östgötatrafiken without a procurement process, with the Swedish Competition Authority also looking at the matter. The bus service has also been considered during the ongoing efficiency enquiry. At the same time, University Director Kent Waltersson has made it perfectly clear that good communication between our campuses is a strategically important question for LiU. 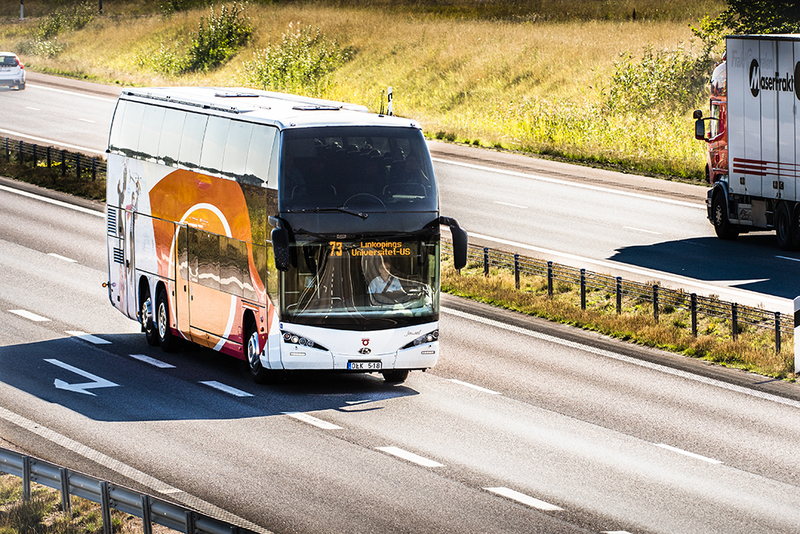 Following an impeccable procurement process in which seven bids were received, it is now clear that Söne Buss will operate the service. This is a family-run business founded as long ago as 1927, based in Lidköping. They have long experience in operating public transport, express buses and school buses. The contract with Söne will come into force in August 2019 and will run until the spring of 2027. LiU had set a maximum price of SEK 10 million per year, which is the current cost of the service. The price of the Söne Buss AB bid was lowest: SEK 8.5 million. “This has been excellently handled by the Procurement Office”, says Karolina Ganhammar, head of the Properties Division, which is responsible for the campus bus. Student representatives have participated in the procurement process, and are delighted that a solution has been found. “We want the bus service to continue, so the uncertainty has worried us”, says Elin Mattsson from LinTek. “It’s great! The frequency of service will be maintained, and it seems that the company will be flexible when it comes to, for example, siting bus stops”, says Sofia Ritenius from StuFF. Those who can use the free campus bus will be, as previously, students and co-workers for work-related travel. The LiU Card will function as a ticket. The coupling to Östgötatrafiken will disappear, and it will no longer be possible to travel on the campus bus using tickets issued by Östgötatrafiken.